Place cubed cream cheese in large mixing bowl and microwave for about thirty seconds, just until soft. 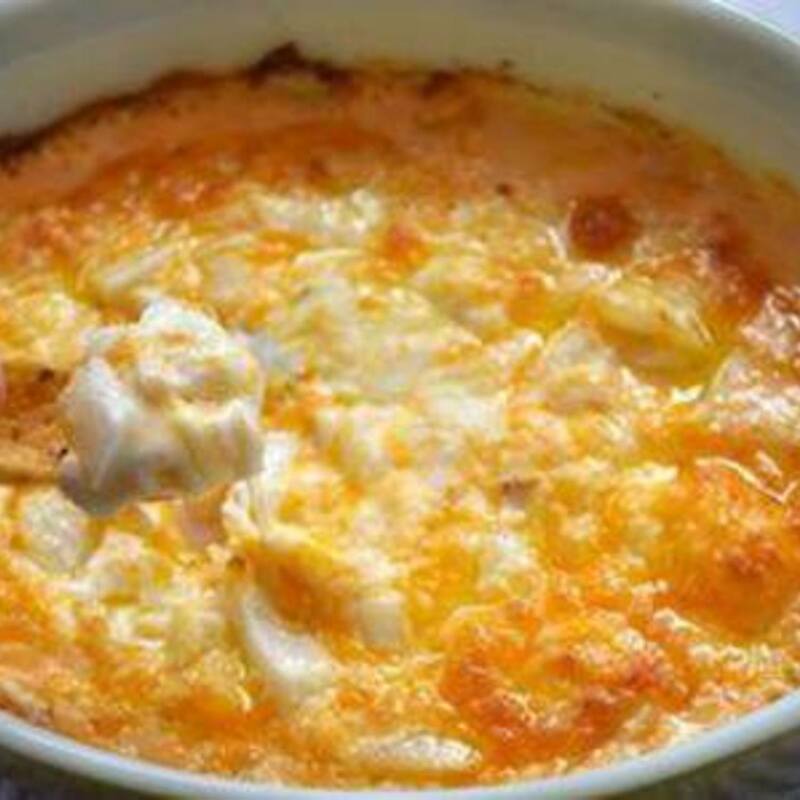 Add diced onion, cheeses, and mayo to mixing bowl with cream cheese. Stir to combine. Bake at 375 for 25-30 minutes, or until bubbly and lightly browned on top.